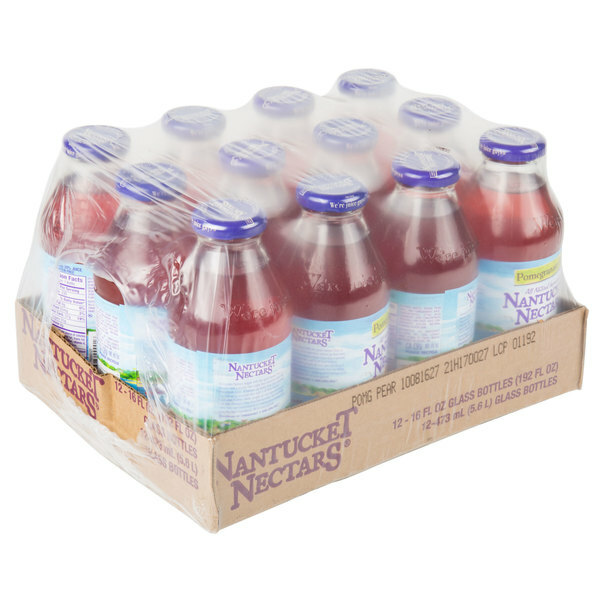 Allow your customers to enjoy the crisp and refreshing blend of pomegranate and pear with this Nantucket Nectars 16 oz. pomegranate pear juice! Made with 20% juice and all-natural ingredients, this drink provides the perfect balance of sweet and tart notes, ensuring a distinct, fulfilling flavor. It'll have guests' dreaming of warm, sunny beaches and island breezes. This juice drink is gluten and caffeine free and doesn't contain any artificial colors or flavors, making it the perfect beverage option for health-conscious consumers. Its vibrant coloring will also help to draw attention to your drink selections. 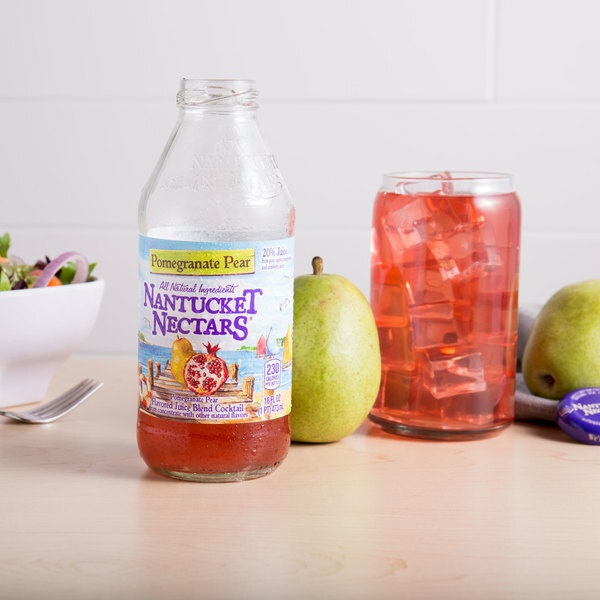 Offer a rejuvenating juice to your patrons with this Nantucket Nectars pomegranate pear juice! A pair of friends headed to Nantucket, Massachusetts for the summer after graduating from college in 1989. During those few months, they created a floating convenience store to serve boats in the Nantucket Harbor. Then, one night, they began mixing juices and bottling them to sell to thirsty sailors in the sweltering heat. 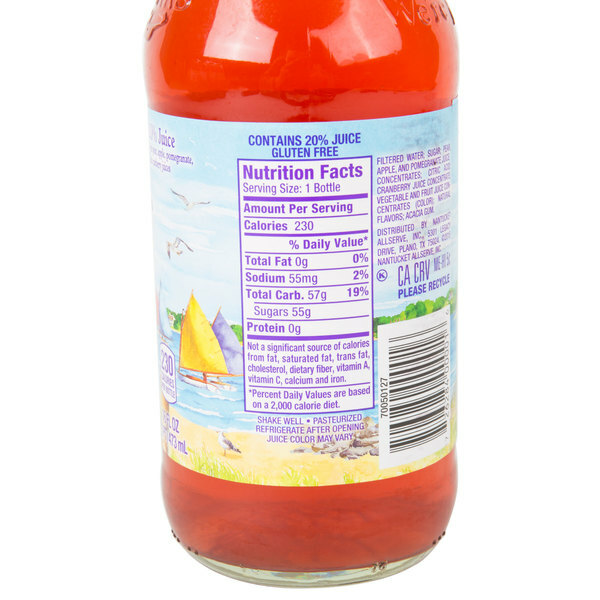 This became the premise for Nantucket Nectars, which now includes a variety of juices, juice cocktails, teas, and lemonades. No matter which blend your patrons indulge in, Nantucket Nectars is sure to quench their thirst and satisfy their taste buds. Nantucket nectars pomegranate pear juice is very unique in taste. Nantucket does an amazing job of pairing different fruits together to make a juice. This is is very refreshing. Pomegranate juice can be really expensive so this is a great alternative and a much better price point. Tastes really good too, not too sweet. 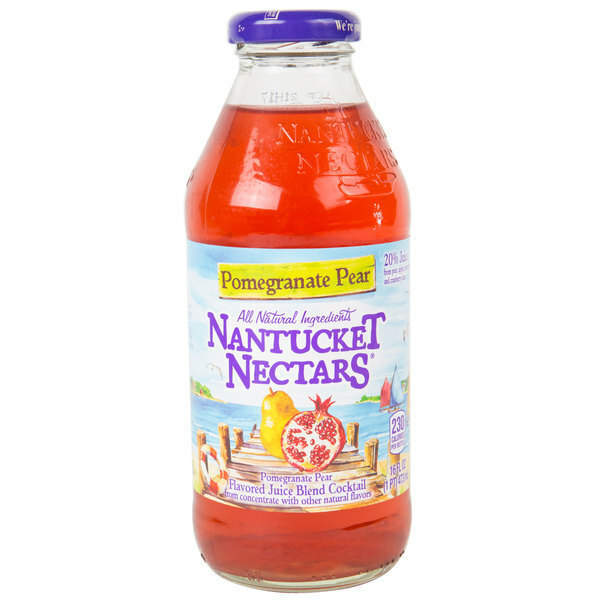 The pomegranate pear juice from Nantucket Nectars is terrific and has a lovely taste. The flavors are real and no artificial stuff. The juice is a great addition to our store. A great juice blend that tastes wonderful. The pomegranate pear is terrific and a great seller for our bakery. The juice is nicely packaged in glass bottles.